« Video we did for last winter Riding Lessons promotion. 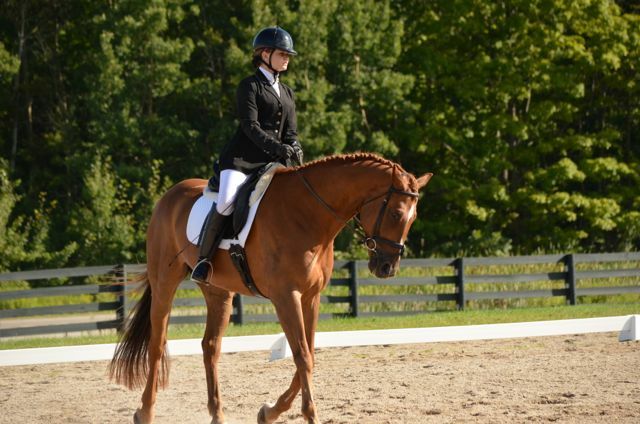 Brek-n-Ridge Farm attends the Stepping Stones Dressage Show at Black Star Farms Sunday, October 7th. Grand Championship wins in the Introductory and Training Levels at the Fall Grand Finale Show in Suttons Bay, Michigan by Brek-n-Ridge riders. The horses were immaculate, though with long winter hair and our riders laid down tests that showed their skills resulting from hard work all summer. 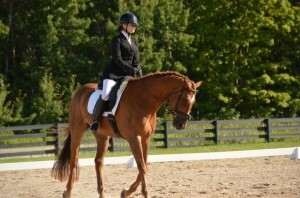 The dressage tests were presented beautifully by their riders. Harbor Springs resident Karin Flint’s former hunter “Ivanhoe” won all three of his classes with scores over 70 % under his rider, 18 year old Rachel Hughes. Together they won the High Point of the show. Introductory A – 70.625, Introductory B – 74.0625, Introductory C – 71.75. Rachel was a summer intern at Brek-n-Ridge and a working student for Karin Offield. Rachel arrived at Brek-n-Ridge in June and month by month progressed in her riding, her equitation and she gained confidence. She looks forward to a second summer at Brek-n-Ridge hoping to learn the skills to progress up the levels in dressage. Brek-n-Ridge employee and riding student Andrew Figures showed remarkable poise and improvement. His self trained Spanish Norman Cross horse named “Twister” has slowly developed his muscles and in turn can now more easily carry himself and his rider in balance. The canter work required in the Training Levels show this improvement. His scores at the Bay Harbor Show earlier in September were 62.1, 65.7, and 68.4. This weekends Grand Finale classes, judged by Colleen Haveman, USDF “L” judge with Distinction were 63.9 Training Level Test 1, 68.03 TL Test 2 and 62.8 in TL Test 3. 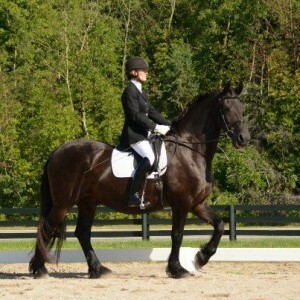 The rise in the scores in Dressage is evidence of horse and rider improvement and change. 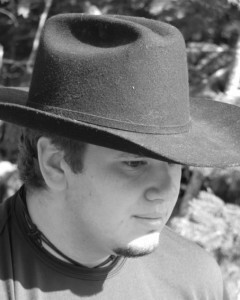 Andrew has been interested in horses since he was 6 years old. His mother Cheryl discovered that if Andrew earned an “A” on his spelling tests, he could take a riding lesson. Riding was his reason to knuckle down to study. As Andrew’s passion for horses increased we can now add “2010s Hottest Male Equestrian Bachelor” to his list of achievements after his winning a Radio contest. My favorite photo of Andrew!